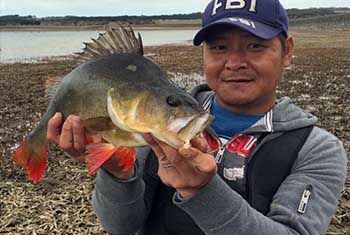 Tom Nguyen went for a fishing session at Wurdibuloc Reservior. The water levels were a little low but it didn’t stop Tai from catching this ripper 48cm Redfin. It was caught using a Redfin pattern Bullet sinking Lure. After catching this Redfin the bite stopped but Tom was still very happy with this cracking size reddie. Well done Tai.